This campaign is managed by Sustainable Connections, a graduate of Spark Northwest’s Solarize U training. Please direct your questions to Sustainable Connections. Thanks for making Solarize Whatcom a success! Join your neighbors to bring affordable clean energy to your community! Attending a workshop is the first step to Solarize your home or business. Once you attend a workshop, you can receive a free site assessment. 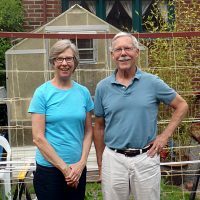 All workshops are free and open to the public, so bring your neighbors to learn how solar works, which sites are most suitable, how to select an installer, and what financial incentives are available to help bring costs down. Make Power and Feed the Hungry! Thanks to the program partners, for every solar installation contract signed during the Solarize Whatcom campaign a panel and the installation will be donated to the Bellingham Food Bank. This donation will help reduce operational costs providing more funding for food to feed hungry Bellingham Families. Solarize Whatcom has reached capacity for participants. This is great news for clean energy, climate change, green jobs and our local economy. Although you are not able to participate in the Solarize Campaign, we still encourage you to contact one of our local solar installers to see if solar is right for you. Whether are you part of the campaign or not, NOW is the best time to go SOLAR! Itek Energy has been a great addition to Whatcom County with green jobs for a green economy. They are the only solar manufacturer providing Washington State made panels allowed for the highest incentive credits. Sustainable Connections worked with Ecotech Solar and Western Solar for solar installations as part of the Solarize Whatcom Campaign. 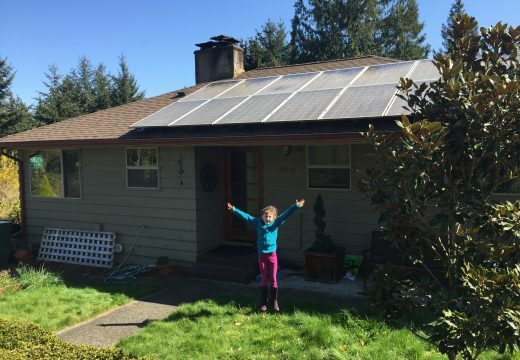 These locally owned and operated businesses have been vetted through the Community Energy Challenge program and have been providing Whatcom County with quality and professional solar installations for hundreds of happy residents.